It is true my colleague Dave at KVNU accused my family more than once of being “country-a-day” tourists – a thought which boggles the mind, and perhaps insults those countries which certainly offer a great deal more than a mere day trip. Nevertheless, his accusation was justified, thinking particularly of my parents taking me on a whirlwind tour of Europe which included a morning in Rome, a late afternoon in Venice, sleeping on the train through Switzerland, and stopping long enough to click a few pictures of what we thought must be the Arc de Triomphe in Paris, only to discover in a subsequent visit it was actually the Arc de Triomphe de Carousel – an entirely different (albeit still rather impressive) arch altogether. So to make the statement, “We stayed there three days,” at least for my family, is in some ways equally mind-boggling. Apart from our three-day passports to Disneyland, the week-long visit with my folks in D.C., and our cruise to Alaska (which doesn’t really count since, well, it’s not exactly easy to jump ship and go home early), I can think of no other destination in the U.S. which has held our attention as long as one simple stretch of beach along the Oregon Coast – so much so, that my seven-year-old daughter assured me she would readily trade in her three-day passport to Disneyland for another three days at Cannon Beach anytime. High praise indeed. And while our “country-a-day” approach to travel may seem a bit flippant, such is certainly not the case. It’s simply a matter of time. With only a handful of paid vacation days possible, it’s understandable we spend a lot of time racing to get there, only to turn around and race home again, just in time to punch in at work bright and early the following Monday morning. 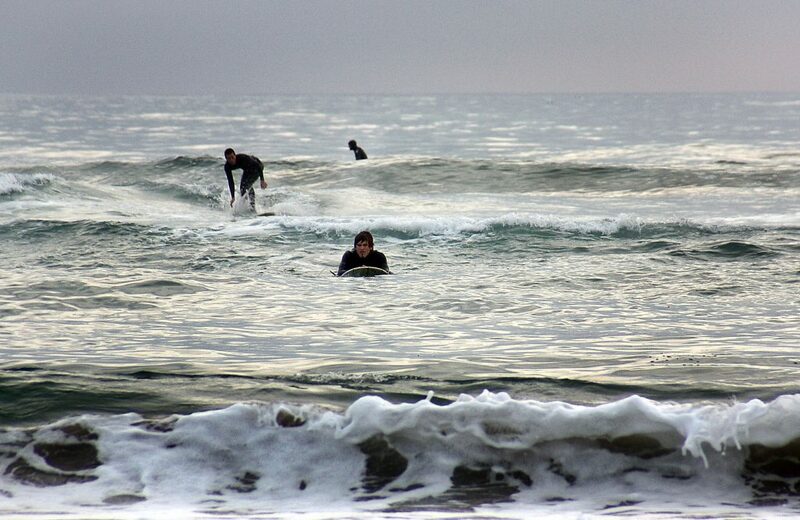 By stark contrast, there is no such immediacy of time at Cannon Beach. At least, not the kind that involves the ticking of clocks on walls and the chiming of each hour. 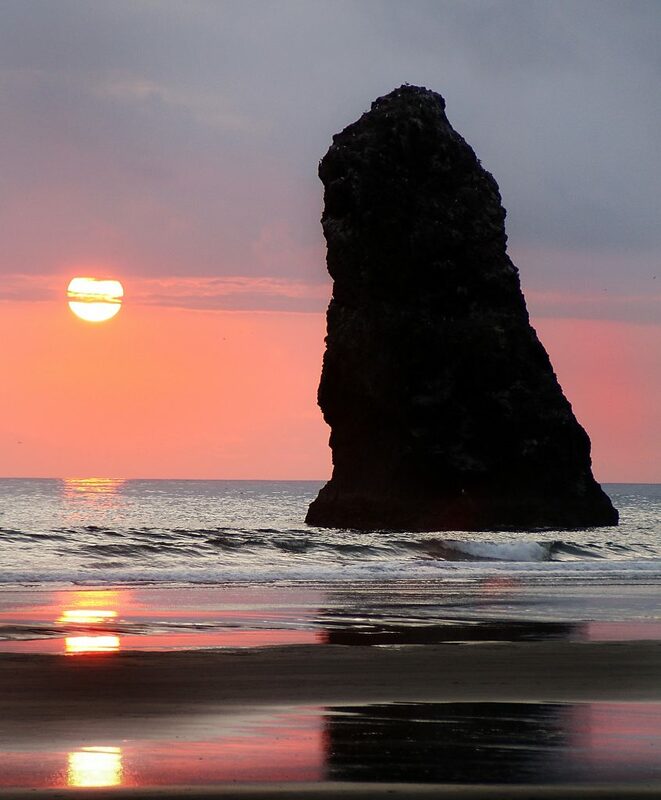 Cannon Beach is a four-mile stretch of soft, toe-wriggling sand which keeps its own gentle, subdued time: the kind of time measured by how far the tide stretches flat, watery fingers up onto the sand before silently slipping smoothly back into the ocean. Time measured by the coming of low tide, when you can skirt the base of Haystack Rock peering into the tide pools, searching for anemones and starfish and skittering crabs. 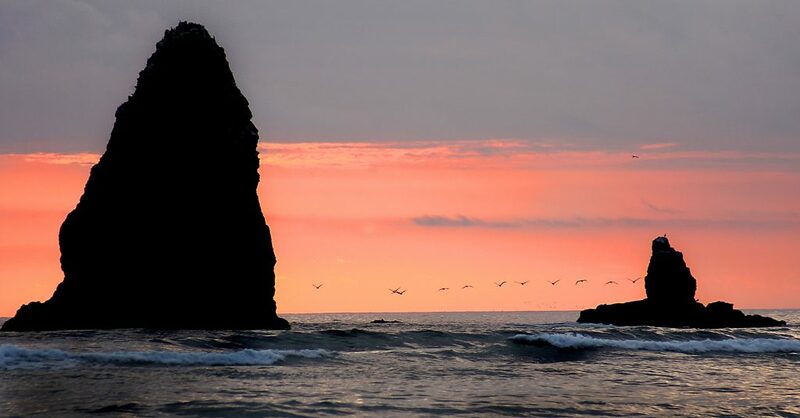 Time measured by when the waves are just right for surfing, and when the sun is in the ideal spot for that award-winning shot of purple and orange clouds banked behind the darkened form of Haystack Rock and its smaller counterparts, the Needles. I suppose the seagulls know when it’s time to search for sand dollars washed up on the beach, and clams know when to dig in just a bit deeper and then hold tight waiting for the tide to roll back in, but for the rest of us, something about that pristine beach emphatically whispers time’s irrelevance. I sense this as we arrive at 9:00 our first night, a smooth, overcast June evening. Before the van is even unloaded, my awaiting dad takes grandkids in hand and says, “C’mon, let’s go see the beach!” And somewhere along that short walk between The Blue Gull Inn and the grassy edges mingled with sand leading down onto the beach, something magical happens. 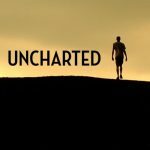 Shoes and socks come off, gear drops, and kids run. It is the world’s biggest sandbox, and all they need now is a good digging stick and plenty of time to dig. Forget luggage and bedtime and memories of the evening meal we opted to postpone until we arrived at the inn. This is Cannon Beach! The following morning we gulp down breakfast and see how quickly we can make our way down to the beach, sand toys in tow. 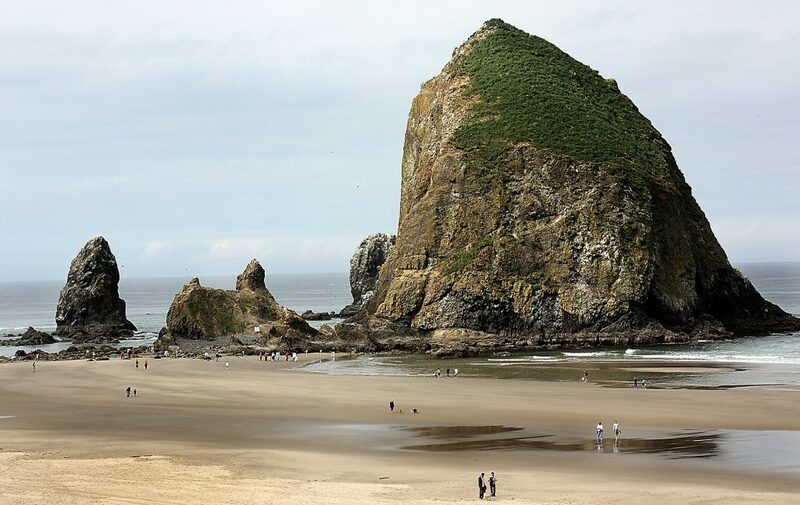 And while the three kids make their first attempts at sand castles, armed with cartoon character-themed buckets, shovels, and funnels, my folks take me in for a closer look at Cannon Beach’s most prominent and popular landmark, Haystack Rock. A part of the Oregon Islands National Wildlife Refuge, it is a well-known sanctuary for puffins, particularly during their nesting season, from early spring through early summer. This majestic rock rises 235 from the sand, approachable on foot during low tide when it provides a collection of tide pools along the base for various small ocean critters, to be studied by Cannon Beach’s more curious visitors, including my three children. Haystack Rock’s popularity is evidenced not only by the knot of photographers armed with tripods seeking the ideal sunset resting behind its craggy façade each evening, but also by the volume of art in which Haystack Rock rises from the sand and water as the primary focus – in watercolors, oil paintings, professional photography, ceramics, and even carved furniture. Our hotel room features a painting of Haystack Rock on one wall, with each dining chair – as well as the cabinet doors on the entertainment center – sporting the carved wooden shape of Haystack Rock, designed by a local artist commissioned by Haystack Lodgings, the company which owns The Blue Gull Inn. 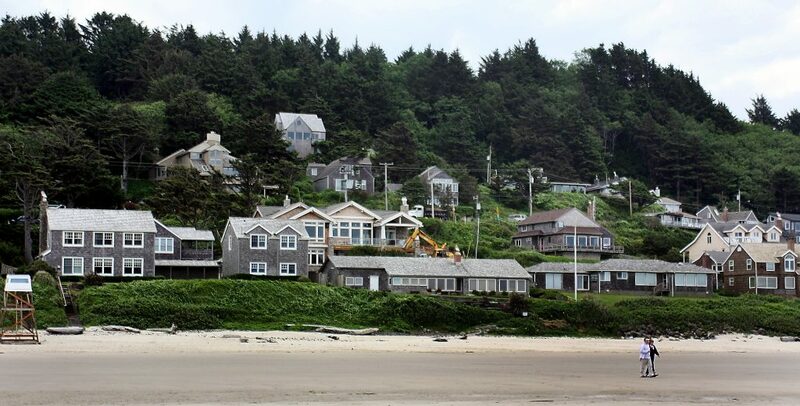 Cannon Beach is, of course, one of many points along Oregon’s coastline where visitors may explore where ocean meets land, and Oregon locals long ago figured out there is money to be made in beachfront property and ocean-themed souvenirs. 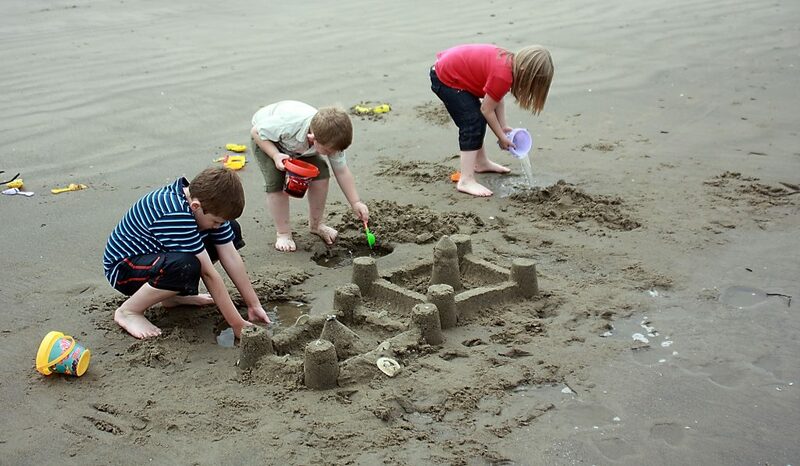 Nevertheless, Cannon Beach is a world unto itself, with soft sand extending the length of the beach, ideal for digging, biking, surfing, building sand art, or riding a skim board. In addition, its central location offers an ideal base camp for exploring a number of sites up and down the Oregon coast, including the Oregon Coast Aquarium in Newport, the Yaquina Bay and Yaquina Head Lighthouses, the Tillamook Cheese Factory, the Tillamook Air Museum, Ecola State Park, and many other points of interest scattered up and down the coast, replete with beauty and history. Named for a cannon washed up along the south end of the town in the mid 1800’s, a part of the original equipment of the USS Shark which, unfortunately, got caught on a sandbar and fell apart before it could pull free, Cannon Beach has blossomed into much more than a repository for Naval remains. It is indeed a tourist town, with doors open year-round to newcomers and returning enthusiasts. And while my kids immediately fall in love with a toy shop called Geppetto’s, as well as generous mouth-watering scoops of old-fashioned ice cream from a local vendor, I am more intrigued – between mouthfuls of ice cream, of course – with the store fronts filled with blown glass, glazed pottery, and other works of art that speak of the sea itself. We find a treasure trove of shells in one shop, gorgeous jewelry and chimes in another, and a kitch rainbow tie-dyed hoodie for my mom in another. It is a tourist town – with quaint wooden buildings and pathways, hanging baskets of flowers bursting with color, and plenty of other tourists looking for ice cream, elephant ears, and Haystack Rock bread. Oh yes, and fish. It’s a subject I approach cautiously, simply because I am not a fish-eater -- something which must seem absurd in any coastal town. When my chef friend Alex asked once long ago, “How do you like your fish?” I remember answering, “Back in the water, thank you.” When my father insists on an evening at Mo’s, however, I am compelled to face the reality I live with a family of fish-eaters. I respectfully tag along, making the trek not by car, but by bare feet along the beach. But even for the non-fish-eaters like myself, there is something to be said for atmosphere – and Mo’s has it in spades. Seated at a long table near one end of the large dining area, we are surrounded by the sea. Fish nets and ocean memorabilia including large fish, starfish, and shells adorn the ceiling and walls, with large windows opening wide-eyed towards the beach, the ocean waves, and the approaching sunset. And while I may not be a fish-eater, I am at least a fan of good clam chowder – soon to realize that for such a passion I’m in the perfect place, the clam chowder being well worth the wait – even in a restaurant full of fish lovers. On the other hand, for someone simply wanting lots of fish at a good price, done fast-food style by ordering at a counter, my father – who seems to have some sort of homing device for good fish – also swears by a quaint little wooden shop called Ecola Seafoods, discovered when Mom dragged him a block off main street one day. Whether you’re buying fish by the pound, or fish ready to eat now, Dad swears it’s an ideal place for fish-to-go. Of course, I definitely opt out on the fish shack, but remember to buy a few postcards during our first visit to town center, a beautiful shell bracelet, and a few other bits, and then find reasons to stroll down to town center again – and again – and again. Bragging at least a dozen galleries in which to enjoy fine art in its various forms, an annual film festival, and glass-blowing demonstrations, it seems there is always something to see, something to do, and something to reinforce the beach’s insistence of time’s irrelevance. Once the town center is explored, with kite in hand, or a three-wheel funcycle from one of the rental shops, or perhaps just the last-minute fixings for a fabulous throw-together picnic lunch, we are drawn back to the beach, like the tide relentlessly lapping the shore. After three days of digging, chasing sunsets, watching my teenage nephews on their funcycles, and trying out our giant bubble wands, at last, it is time to wash the last of the sand from our feet and load up the van for our drive northward and inland. The kids grieve as if they are saying good-bye to their first-ever best friend, and spend the next several months reminding me how much they miss Cannon Beach. I place bets with Brian that Cannon Beach will lose top ranking with the kids the next time we go to some other equally exciting destination. And then again – do we ever really forget our first best friend?